Life changes drastically when you are diagnosed with a chronic illness. The life you thought you would have is permanently altered, and learning how to cope and live well despite these changes isn’t easy. The following suggestions will help as you navigate this path you have found yourself on. It is born out of twenty years of medical experience, fifteen years of chronic pain, and eight years of life with a chronic illness. I hope it is helpful to you. We all hope for a simple cure, but in reality there is no one “magic pill” that will make you feel better. If someone tells you there is, it is usually a gimick or ploy to try to get you to buy their product or treatment plan. Be wary of those who offer a quick fix. Feeling “better” usually comes as a result of good choices you make each day. It may take a while to realize what those things are that bring about a “good” day, but it is not impossible to achieve, so don’t give up trying. Even when feeling good, or at least better, becomes elusive, realize that life can still be good, so look for the good in each day. Knowledge is power, so research your condition and every possible treatment. Get advice from a number of sources, including second or third opinions of your doctor’s treatment plan. Try not to compartmentalize your treatment plan. For example, don’t feel like you have to choose between “traditional” or “alternative” medicine. You will probably find a measure of success by utilizing the best options from both categories. Following your doctor’s plan may help, but you will still need to make changes in your daily habits in order to feel better. For instance, taking insulin will help the newly diagnosed diabetic, but he will also have to make good food choices in order to prevent uncomfortable and potentially life-threatening highs and lows in blood sugar. Eating whole (real) food will give you more energy. Processed and fast foods don’t provide many nutrients that will help you feel better. Sugar makes you feel worse because of blood sugar highs and lows that affect your energy level. Taking a good multivitamin will help you have more energy as well. If you want to try supplements, find a reputable company to purchase from. Research your condition to see which supplements might help your particular illness/problem. Some supplements have fillers that won’t provide you with the desired effect. Remember that supplements aren’t regulated by the FDA and not all supplements have the research behind them to guarantee a safe, risk-free product. Look for online information that can help you determine if a supplement has side effects or will interact with your prescription medications. This last step is extremely important, as some supplements can and do interact with medications you might be taking. Remember that prescriptions medicines may help in the short-term but may cause additional problems later because of unwanted side effects. All medicines have side effects. This doesn’t mean you should automatically reject these medicines or stop taking them if they are giving you the desired/needed effect. You will need to weigh the benefits against the potential side effects. Don’t continue taking a medicine that is not helping you. Talk therapy or counseling can help everyone, whether or not you have “psychiatric” reasons for it. Counselors can help you gain skills for managing chronic pain, help you deal with issues in your relationships caused by chronic illness, and help you deal with anxiety caused by illness. Talk therapy may really benefit you, whether or not you think you “need” it, so consider it as a way to improve your overall well-being. Try to get out of the house on a regular basis, daily if you can, even if just for a little sunshine. Taking even a short walk can do wonders for your mood. Sunshine will also help your vitamin D levels, which are low in many people with chronic illness. If you can’t get out, open the blinds and let the sun shine into your house. Don’t forget to let the Son, God’s Son Jesus, shine into your overall perspective as well. God’s promises can encourage and sustain you each day. One promise I find uplifting is from Psalm 9:9-10 (NIV) which says, “God is a refuge for the oppressed, a stronghold in times of trouble. Those who know your name will trust in You, for You, O God, have never forsaken those who seek You.” You can count on God to be with you to encourage and strengthen you with His promises each day, so be encouraged, dear friend. Write out this promise on a note card, and post it somewhere you can be reminded of His faithfulness to you each day. He has not and will not leave you hopeless. In the next post, I will give more ideas for living well with chronic illness. May I suggest choosing one or two of these things to incorporate into your life now? Also, comment below about things you have found that help you live well despite chronic illness. By sharing these things, we can encourage and help each other navigate the path of chronic illness. One thing that can help each of us find purpose and joy is reaching out to help others who also live with chronic illness or pain. This can be done in big or small ways, so don’t underestimate the power of a kind word or quick phone call. Commenting on a post or sending a cyber-hug can go a long way towards helping someone who might just need that exact thing. So, tell us, what helps you live well with chronic illness or pain? 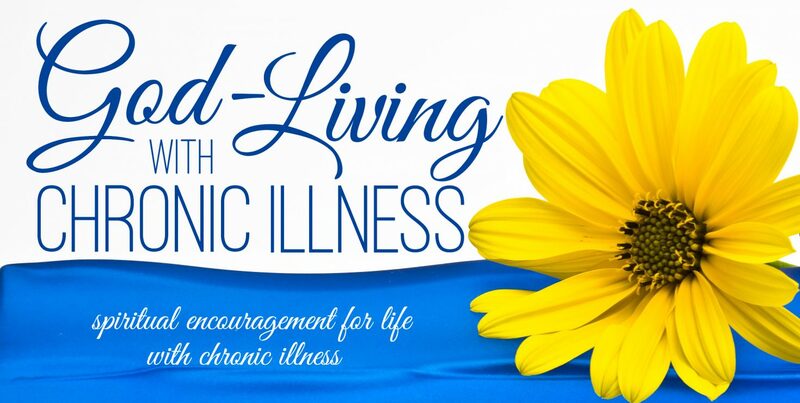 You saw this post first at God-Living with Chronic Illness, a website that provides spiritual resources and encouragement for those living with chronic illness or pain. Please pass this post on if it will encourage others you know, but please always give credit to the source from which it came. Thank you for respecting copyright laws and privileges. Disclaimer: The above information should not take the place of the medical treatment and recommendations of your physician. Please realize that these are ideas to help you live well with chronic illness/pain, and are not intended to be actual medical advice or recommendations for any specific condition. God-Living with Chronic Illness and/or the author do not receive compensation for any references to specific products, websites, or resources. Hi! 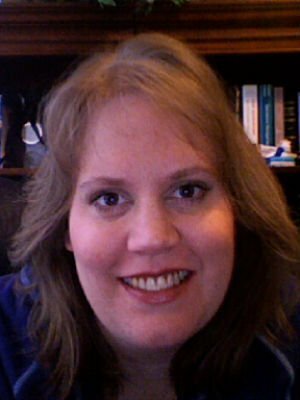 I am Laurie, the author and founder of God-Living with Chronic Illness. I am a wife, mom, nurse, and patient with fibromyalgia. I understand first-hand the realities of life with chronic pain and illness and have a passion to encourage and help others dealing with the same thing. I hope you will sign up to receive posts and also join me on Facebook, where you can find a community of others who understand illness and pain. Welcome to God-Living with Chronic Illness! This entry was posted in Life with Chronic Illness and tagged living well, Living with Chronic Illness. Bookmark the permalink. Thank you for your kind words. I will send you some info re: pain mgmt.